If you happen to be a homeowner, you’re probably already aware of how important it is to have your locks rekeyed using a professional locksmith before moving into a home. When you move into a home that has been previously owned, there’s no way to know how many people had a copy of keys that could be used to enter your home. Having the locks rekeyed is a simple and cost-effective solution that gives you security in your new home. However, most people don’t think about doing the same for a car. Even if you purchase a car on Craigslist or someone you know, you probably exchange money, title, and keys and move on. An auto locksmith is capable of rekeying your car locks and this can be required in some situations. In addition to that, there are several other services a reputable locksmith can provide related to your vehicle. We’ll go over those things below, so you know how to proceed if you find yourself in an emergency situation related to a vehicle lock or key. If you have a modern vehicle, it’s likely that your car has a computer. It’s equally likely that your key for the ignition has a chip which is referred to as a transponder. This transponder is what communicates with the computer in your car. It is there to ensure that only a genuine authorized key is used to turn on the engine of your car. If someone manages to get into your car and inserts an unprogrammed key or attempts to hotwire the car, it will not start, no matter how hard they try. While this decreases the likelihood of your car being stolen, it can also be problematic if you lose your key or it becomes damaged. You can’t just head to the nearest hardware store to have a new key cut because it will not be capable of starting your car. Instead, the key has to be programmed so it will properly communicate with the computer in your vehicle. This is where an automotive locksmith comes in. They can cut and program the key so you can again use your car or truck. Vehicle locks can become damaged whether by accident or intentionally. A thief may damage the lock, for instance, while trying to gain access to your car. Car locks can even become damaged simply due to normal wear and tear or through exposure to the elements. The problem with a damaged lock is that it might not be able to operate appropriately, even if you have a perfect working key to place in it. Sometimes it may not operate the way it should even when using a remote fob. A locksmith who specializes in automobiles can check out your locks and determine whether they are in working condition. This person is also capable of replacing or repairing the lock, depending on what is needed. Using a remote key fob can be seriously convenient. You can lock your doors, unlock your doors, or even open the trunk from a distance without touching the car itself. The problem is that after time passes, the battery in the fob begins to wear down, which means it will need to be replaced. Replacing the battery is one part of the equation, but at the same time you will likely require the fob being reprogrammed to work properly with your vehicle. A locksmith can handle this process for you in a matter of minutes, so you have access to your car again. Of course, it’s also possible to lose your fob or find out that it was stolen from you. If either of these things occurs or the fob breaks, you will need to get a replacement key fob. That replacement fob will also need to be programmed to work with your vehicle. Some of the other situations we’ve mentioned a locksmith can help in are fairly rare, but this next one is far from it. People get locked out of their cars on a daily basis and find themselves unable to get back in. This can be seriously inconvenient even in the best of situations. However, it can also be dangerous depending on the situation you are in. For instance, if you’re out in the boiling sun and have nowhere else to go, being unable to get in your car could even be deadly. Thankfully, an automotive locksmith can get into your car and unlock it for you. This will get you back inside and, on the road, so you can go on with your day with only a minimal amount of inconvenience. There are several ways that a locksmith can gain access to your car and reopen it for you. It all depends on what tools are available, type of car you have, and what the situation calls for. We’ll go over the common methods for getting into a vehicle below. Many vehicles today have a keyless entry system. That means that a key has to be programmed in order to work, as we mentioned earlier. Any locksmith who has trained and worked with automobiles will have the knowledge to handle this situation. The locksmith will be able to reprogram your lock and get into your car without causing any damage to it whatsoever. If your vehicle has a theft deterrent system, that is referred to as an immobilizer. Basically, an immobilizer makes it impossible for a would-be thief to start the car when attempting to take off with it. However, in some cases, the immobilizer can become defective. When this happens, your car may refuse to start, even if you are using the appropriate key. An auto locksmith has the knowledge and skill to handle this problem and get your car back in order so you can get where you need to go quickly. If you cannot get into your vehicle because your key has broken off in the lock, you may wonder where to turn. A locksmith who specializes in automobiles will have access to a device called a broken key extractor. This will be used to remove the broken key or the parts of the key from the lock. At that point, the key can be duplicated, and the car will be unlocked. There is also a device called a door handle clip removal tool which can remove the retainer clip. This is the component that locks the handle of your door to the actual door. As you know, modern vehicles have all sorts of technology, including keyless entry. When this type of vehicles gets locked, a key analyzer or a passkey decoder needs to be used to open the car again. This tool is used to determine the electrical resistance values of your vehicle. Armed with that information, a automotive locksmith can make you a precise key without even having the original key to use for duplication purposes. You have probably heard of a slim jim in the past and it is a tool that auto locksmiths use on a daily basis. If a car will not unlike, the slim jim is placed in between the weather stripping and the glass of your car’s window. It can then unlock the door without the use of a key. When you see a locksmith use the tool, it appears to be relatively simple. However, using one properly requires a large amount of experience, knowledge, and training. If you were to incorrectly make use of a slim jim, it can damage or destroy the electrical system or airbags of the vehicle. Those who have an older vehicle may have switched unlock and lock buttons which are located near the inner panel of the car door, which automotive locksmiths can open using a J tool. The J tool is passed through the top of the car window to reach inside. At that point, the tool is manipulated to lift the unlock button and release the car door. The L tool is similar to a J tool, but it has a distinct shape that is better to use on certain car designs and models. While you may not think you’ll ever need help with your locks or car keys, it definitely could happen. 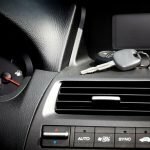 Being aware of a professional locksmith in your aware who has expertise with vehicles is important, even before you actually need their specific services. Take a look at the local locksmiths near you and look into the services they offer. Ask questions, get referrals, and put a name in your phone. You never know when a locksmith might come in handy when you’re driving your car, truck, or SUV.